Our acrylic polymer, Flexi-Crete SC300 and crystalline product Flexi-Crete PCS can be used to repait cracks. Apart from waterproofing, Crack Repair Polymer (Flexi-Crete SC 300 and Flexi-Crete PCS) can also be used for crack repairs. 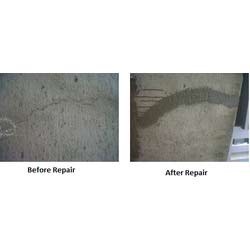 Almost all cracks can be repaired using Flexi-Crete paste and Flexi-Crete PCS. Looking for Crack Repair Polymer ?